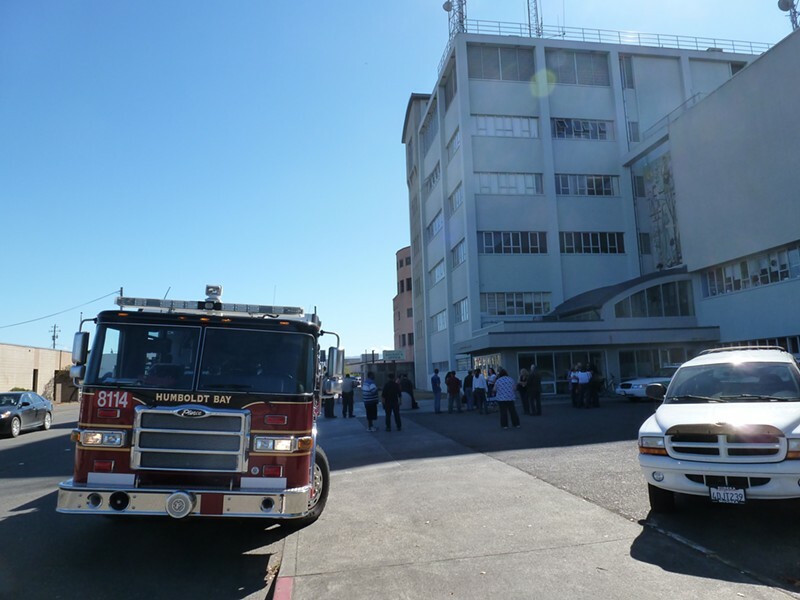 Crews from Humboldt Bay Fire evacuated the courthouse this morning when an elevator motor apparently started spewing smoke into the building. 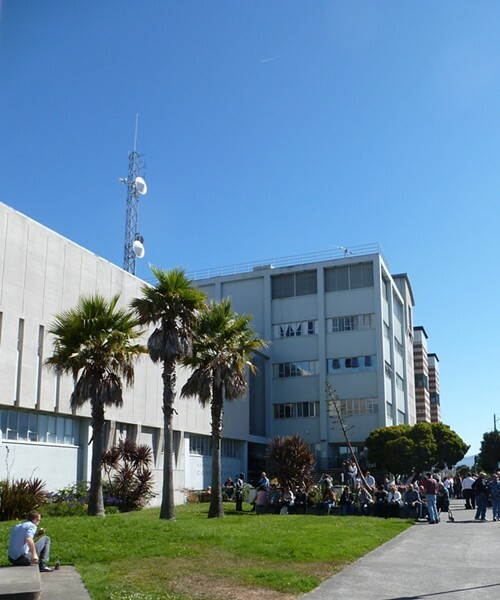 Courthouse employees get a vitamin D break. A few Sheriff's Office deputies waiting outside said they smelled strong smoke on the first floor of the courthouse before the building was emptied. Chief Ken Woods coordinates with firefighters inside the courthouse. 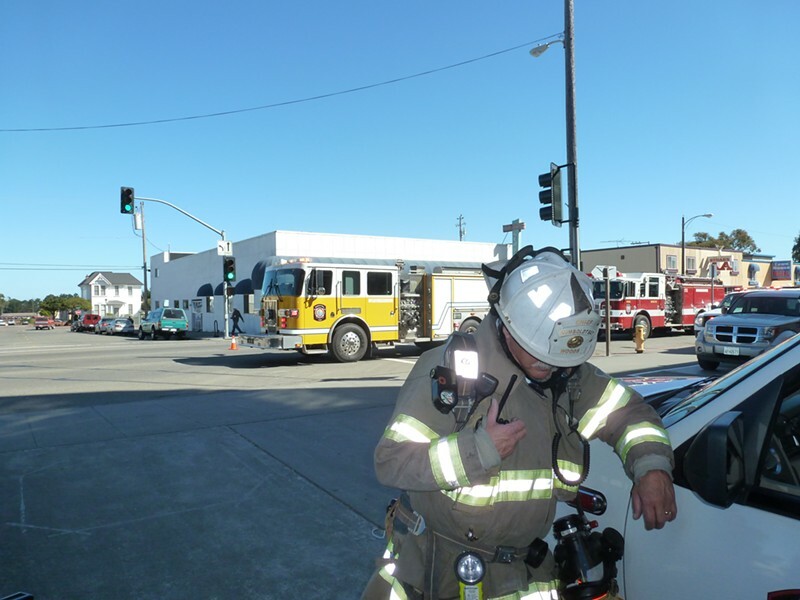 Firefighters found the source of the smoke and were preparing to use fans and the building's exhaust system to clear the elevator shaft around 10:45 a.m.
Humboldt Bay Fire blocked a lane of Fourth Street while responding to the fire.